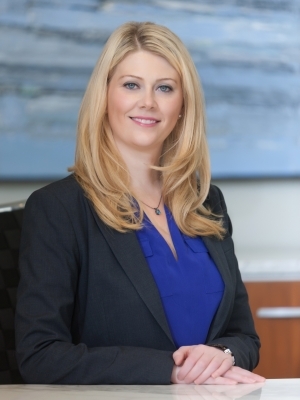 Jennifer L. Gustafson's practice focuses on commercial litigation, with an emphasis on intellectual property. She also has significant experience in trust and estate litigation including will contests and trust modifications. Jen represents a wide range of clients, from a municipal school district and a local consulting firm, to a large national bank and a major manufacturer of high-end fitness equipment. Most recently, she devoted her time to representing a nonprofit health care organization in a large-scale commercial litigation case. Jen is a member of the Missouri and Illinois Bars, and she litigates cases in both states' federal and state courts. She is a member of the Women Lawyers' Association of Greater Saint Louis, and she currently serves as Co-Chair of their Scholarship Committee. Jen was selected for inclusion in Missouri & Kansas Rising Stars® in 2015-2018.